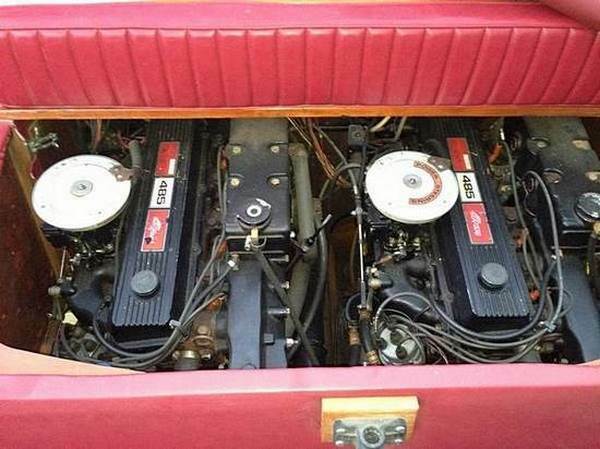 Engines: I/O 485 twin Mercruisers. 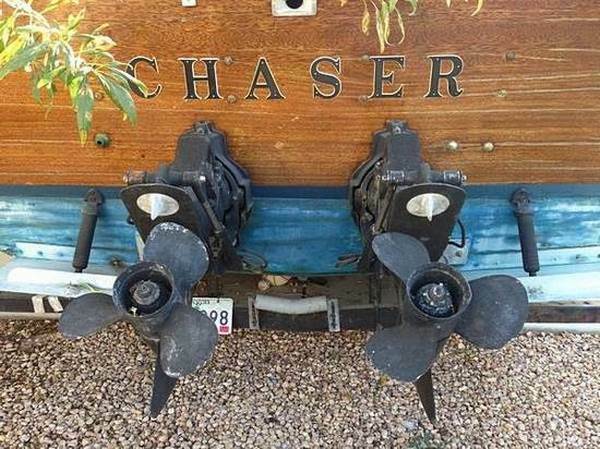 Has a lot of desirable upgrades and accessories, such as live bait tank, electronics, extra fuel tank (built in under deck), fly bridge, custom new upholstery, new covers for exterior. Sits on triple axle trailer currently in our back yard. The boat last started up 3 years ago with no problems. It does need the gas and oil changed before starting it again. The siding is in good shape but will need new paint, etc. This would make a perfect project boat, as the work needed to restore it would be interesting and wouldn't require rocket science engineering. 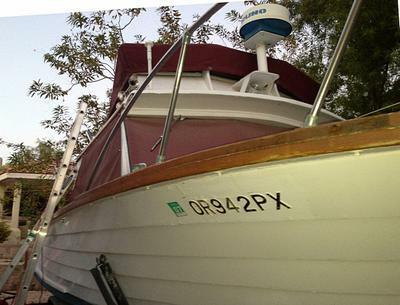 The boat has been blessed with money over the years so I don't think that the cost of restoring would be excessive as it would be mainly small cosmetic projects. 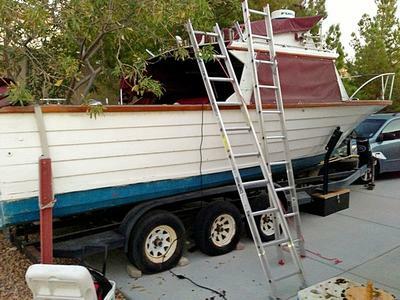 The boat is optimal size, as it can easily be moved on and off a trailer, and large enough to weather deep sea ventures. I love Cruisers Inc's, I have 2 now! 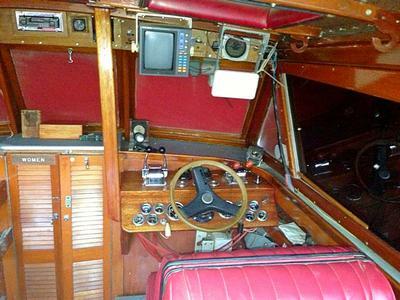 I currently have a completed 16' Cruisers inc runabout, I am working on an 18' Cruisers Inc Commander runabout. This would be a great addition to my Cruisers Inc. Fleet! Wow ! I like it!